Clarks Halcy Hati girl's canvas shoe. 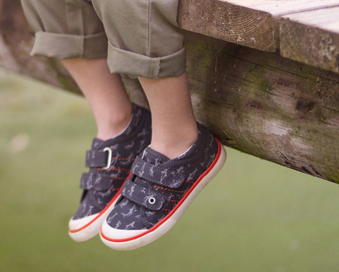 It features a soft printed upper that your little one is sure to love! The double velcro fastening allows for adjustability and a secure fit when walking. It also means it it easy enough for children to put on and take off themselves, a great shoe if they are becoming more independent. 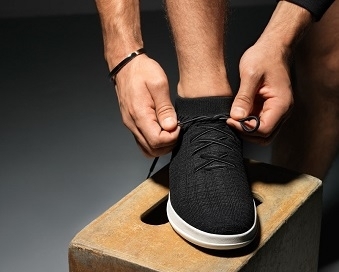 The rubber toe bumper provides extra protection for little feet and allows the shoe to be protected against scuffs and scrapes. Machine washable at 30 degrees, great for potty training! It looks lovely with dresses and frilly socks and looks just as good with jeans and a t-shirt.